the Global Port Batang Pier. Here are a few quick thoughts about the two biggest trades that occurred this past January in the world of basketball. Toronto gets Gay in baffling three-way – umm… yeah. First thing -- detach yourself from the gross images that first headline might present. Now, speaking of awkward, it seems like the Raptors have tried to trick themselves into believing this was a good deal. By getting Rudy Gay, Toronto gets a talent who is good enough to maybe be an All-Star. 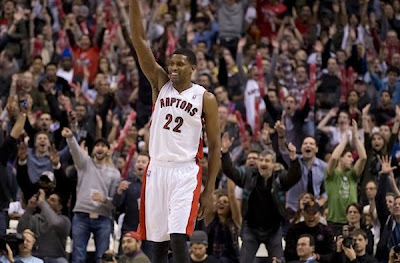 Gay could be the new face of the Raptors (quit smirking). He’s the biggest name to lead the team since Chris Bosh. Everyone happy north of the border, right? Here’s the thing– Rudy Gay’s production is tantamount to a lion’s share of possessions and shots. He thrives on volume, and that’s definitely NOT a good thing considering both Andrea Bargnani and DeMar DeRozan are already two guys broken from the same mold. Toronto fans might think they have a great shot at making the postseason and being a fringe contender with their new “Big Three,” (four if you count Kyle Lowry) but what I see is a team with one guy willing to share the ball playing with three guys who aren’t as selfless. Let’s see where this goes, but, right now, I’m giving the Raps maybe a C+ on this move. Toronto fans go gay for Gay! How long will the honeymoon period last? Extra credit if they manage to move Bargnani for a more efficient big (read: Pau Gasol). Five-team rigadoon makes Batang Pier an immediate contender? Rigadoon is a real word, my friends. It’s the American version of our very own rigodon. And that’s our vocabulary lesson for today (cue kiddie music). Now for another lesson – a lesson about new beginnings. A couple of days ago, the PBA pulled the trigger on a trade that could potentially have seismic effects in terms of the power balance in the league. Here’s the gist: Talk N Text shipped Japeth Aguilar to Global Port for Rabeh Al-Hussaini, while the Batang Pier also received Sol Mercado from Meralco. 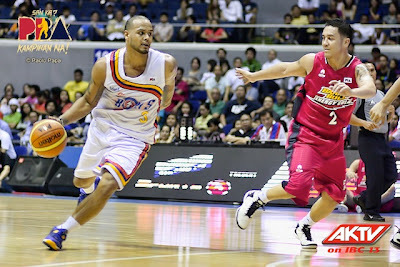 In the process, Mikee Romero’s franchise let go of Vic Manuel, Rey Guevarra, and Josh Vanlndingham. Japeth and Sol join a roster with Gary David and Willie Miller, both of whom comprise one of the league’s most experienced backcourts. Like Toronto, Global Port’s star stock immediately spikes with the inclusion of the enigmatic Aguilar and the explosive Mercado. The bigger question, of course, is will this make the Batang Pier instant contenders? Aguilar definitely adds some much-needed size to Global Port, and he brings with him perhaps a skill set more impressive than any other a local big man his size has ever had. At his best, Japeth can be a textbook stretch big – one who runs the floor and operates on the wings while doing the dirty work down low. Think Kevin Durant, Josh Smith, or Jordan’s Zaid Abbas. 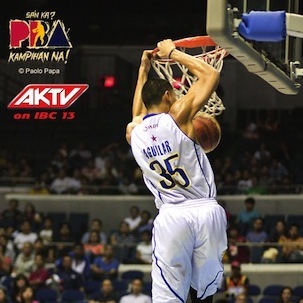 In short, Japeth has the potential to be the most dominant force the PBA has ever seen. But that scenario is quite unlikely simply because one of Japeth’s historical shortcomings has been his incapability to adapt to the kind of production his team needs. He has always been freakishly athletic and uber talented, but, somehow, he has just never really been able to translate those into consistent eye-popping production. He has repeatedly blamed the lack of playing time as the main culprit of this, and now he finally has the chance to prove that he’s right. For his own sake, I hope he succeeds. Mercado’s, meanwhile, case is a little more… peculiar. In Mercado, you have a guy who led the league both in scoring and assists in the previous conference. In Mercado, you have a leader capable of taking over a game. And then he goes and gets traded. with Willie Miller and Gary David. Meralco claims this is for rebuilding purposes, and that Mercado’s production should actually get better with a new team. Perhaps the first reason is right, but, as for the second reason, Mercado’s production WILL take a hit in the Commissioner’s Cup. In Mercado, you have a guy who needs the ball to be effective. The play has to start from him. 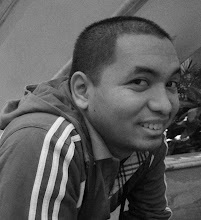 In Global Port, you already have another guy like that – Willie Miller. Perhaps Gary David and Japeth can play off of both those guys, but I can hardly picture either Sol or Willie curling off screens or making backdoor cuts. So was this pair of trades great for Global Port? Yes and no. The final verdict will depend on how the stars adjust to their new context. For now, it’s another C+, but proper revisions could bump them up to as high as B+.